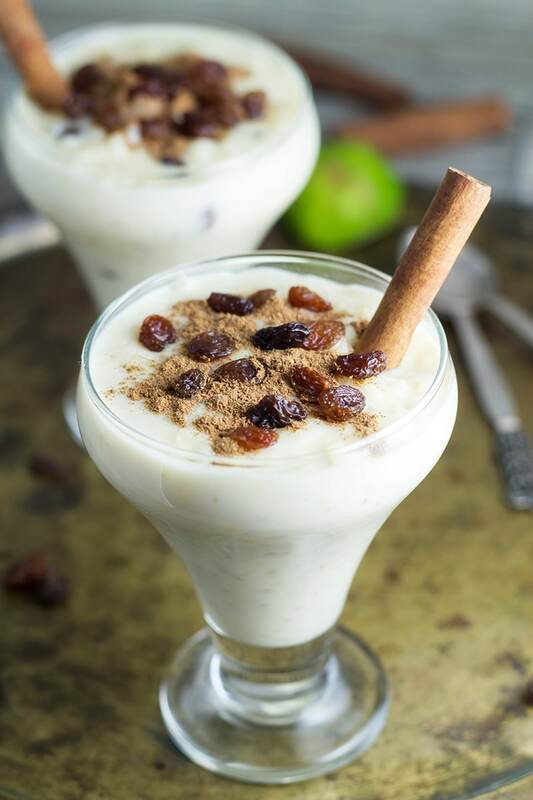 Creamy, sweet, comforting, and sprinkled with cinnamon and raisins on top, this Mexican Rice Pudding (Arroz Con Leche) will satisfy even the sweetest tooth. Serve it hot or cold as you like, it is delicious both ways! Mexican cuisine has always been associated with delicious colorful spicy food, but no one talks about their desserts. Yes, you heard me right. Mexican desserts. They do have them, and they are freaking good. If you haven’t ever tried them, you are missing out big time. It’s never late to start, though. 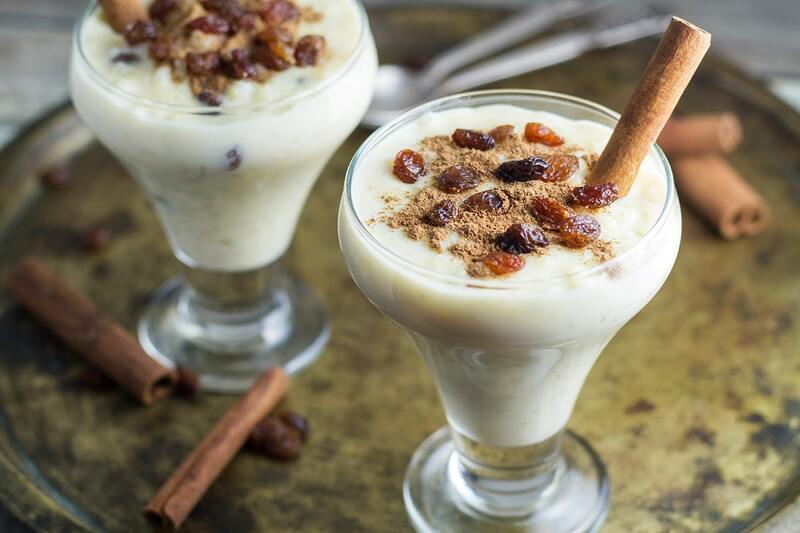 This Mexican Rice Pudding, Arroz Con Leche in Spanish, is an excellent choice for your introduction to the world of desserts of this fascinating country. 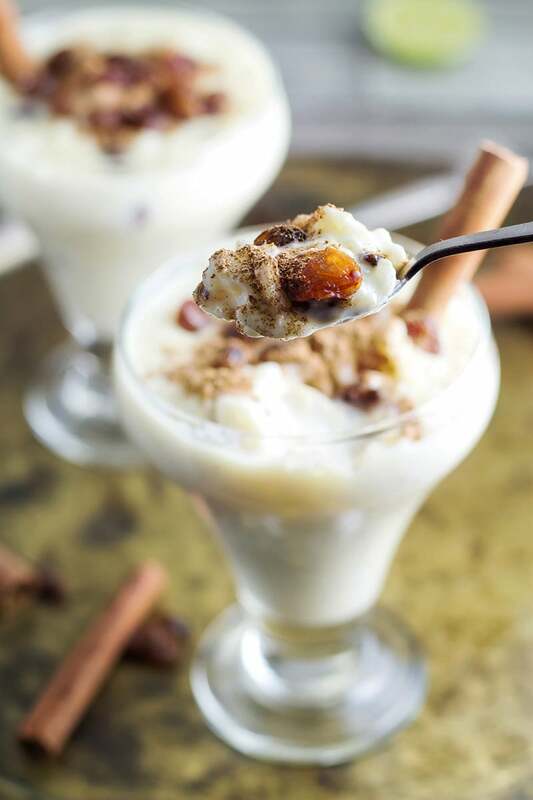 Arroz Con Leche is a truly classic Mexican dessert. It is served at a table literally everywhere, even in the farthest corners of the country. However, as with most traditional dishes, there exist many different versions of it. Every abuela has her own recipe for this creamy and comforting sweet rice! Many use condensed or evaporated milk, some use plain milk. Some use eggs, some not. Some recipes include vanilla, some not. But that’s the beauty of it! When it comes to Mexican cuisine, I love Rick Bayless and his work. That’s why the recipe of this rice pudding was adapted from his bestseller Authentic Mexican. 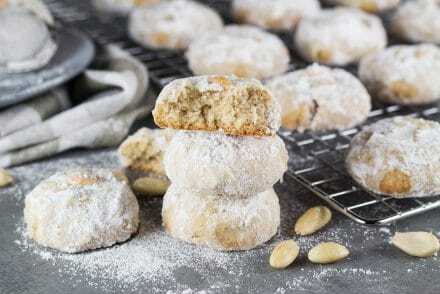 His recipe uses plain milk, vanilla extract, eggs, lime zest and few other basic ingredients. I loved this version! And I am happy to share it with you guys. What can I say about the taste of this pudding? It is thick, creamy and, of course, sweet! It is everything you expect a fantastic dessert to be. Oh, and the finishing touch of cinnamon and raisins is just brilliant! And it is so easy to make. It requires some time but much of it doesn’t involve your direct participation. The ingredients are really simple too. Then what else stops you from making this deliciousness right now? You can serve this Mexican Rice Pudding hot, chilled, or at room temperature. It also reheats well, just thin it with milk, warm, and you are good to go! This delicious pudding would be welcome after a hearty soup like Carne En Su Jugo, which I’ve made some time ago. Try it out! This creamy, sweet, and comforting rice pudding comes straight from Mexico and it doesn't disappoint. 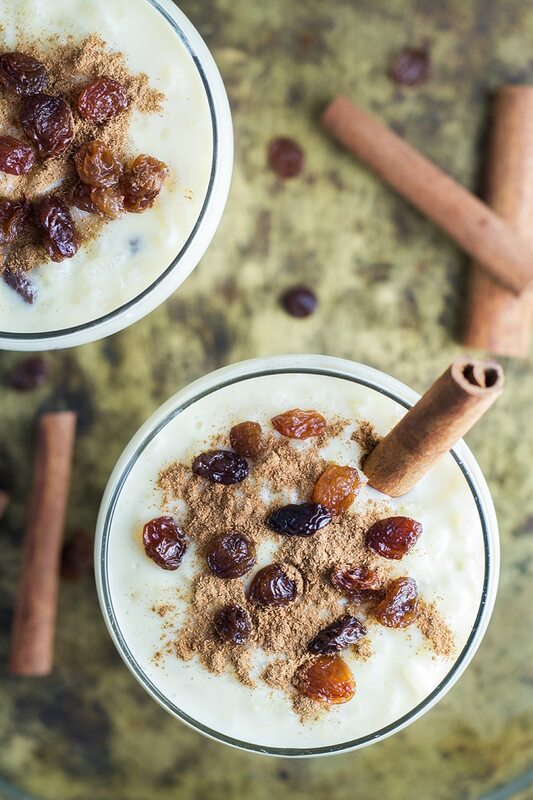 Served with cinnamon and raisins on top, it is perfect for satisfying your sweet tooth! In a medium saucepan, bring 2 cups water to a boil. Add the cinnamon stick and lime zest, cover and simmer for 5 minutes over medium heat. Add the rice, return to a boil and stir once. Cover and cook over medium-low heat for about 20 minutes or until the water is absorbed and rice is tender. If the rice is still underdone but there is no water left, add some more water and cook for few more minutes. Stir in the milk, sugar, salt, and simmer over medium-low heat, stirring frequently, until the liquid starts to thicken, for about 20-25 minutes. Remove from heat and discard the cinnamon stick and lime zest. In a bowl, beat the egg yolks and stir in the vanilla extract and a few tablespoons of the hot rice. Stir the yolk mixture back into the rice. Mix in the raisins, leaving few for garnishing. Spoon into dessert dishes, sprinkle with remaining raisins and the ground cinnamon. Serve warm, chilled or at room temperature. Enjoy! Yum! 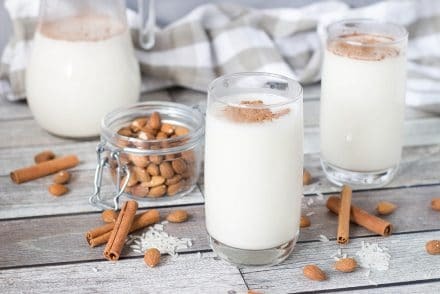 I was first introduced to arroz con leche while traveling through Costa Rica and it quickly became my favorite desert. This version sounds so good!